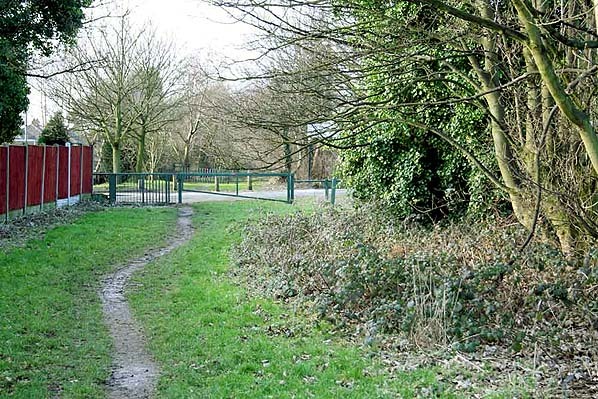 Present state: Demolished - a footpath runs through the station site. Notes: The second Rookery station was on the LNWR St. Helens and Rainford Junction line which had originally been opened by the St Helens Canal & Railway Company (SHC&RC) on 1 February 1858. The line formed part of a through route between St Helens and Ormskirk. The section between Rainford Junction and Ormskirk had been opened by the East Lancashire Railway on 1 March 1858 but since May 1859 it had been under the ownership of the Lancashire & Yorkshire Railway (LYR). The SHC&RC was absorbed into the LNWR on 1 June 1864 and a new Rookery station was opened a year later on 1 June 1865 some 50 chains to the north of the original which had existed between April 1858 and March 1862. The new station was east of what was then called Bullace Tree Lane. The road was later given its present-day name of Rookery Lane. When opened, Rookery was on a single-track line, and a wooden platform and station building were constructed to match the platforms and buildings at Moss Bank, Crank and Rainford Village with a distinctive curved roof formed from corrugated iron sheets. Goods facilities were not provided. The 1869 working timetable showed six trains each way per day on weekdays and three on Sunday. The LNWR doubled the line between Gerards Bridge Junction and Rainford Village in 1890. The existing platform became the down one for St Helens, and a new standard LNWR brick up platform was built with a small waiting room whose curved roof complemented that of the main building. 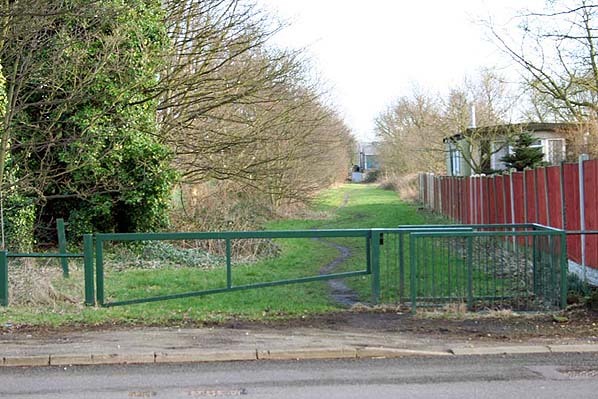 Access to both platforms was from the level crossing on Bullace Tree Lane (Rookery Lane). A standard LNWR brick house was built to accommodate railway staff and it remains in use as a private dwelling. Signals to protect the crossing were worked from an LNWR standard 8-lever ground frame. During the Second World War passenger services were reduced, and although they were increased after the war they did not return to the frequencies of the 1930s. The LMS summer timetable for 1947 showed eight trains each way on Monday-to-Friday with three extra on Saturdays as seen in the table below. On 1 January 1948 Rainford Junction became part of British Railways’ London Midland Region (BR[LMR]). The 1951 timetable showed only six trains per day on weekdays with two additional services on Saturday. In 1951 BR(LMR) proposed the withdrawal of the St Helens and Rainford Junction service and, despite local opposition, the last trains ran on Saturday 18 June 1951. 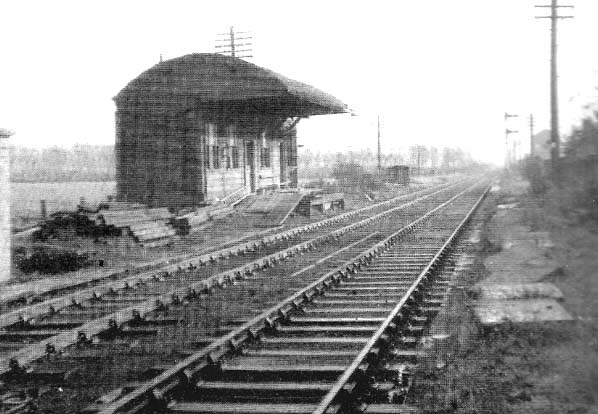 The wooden up platform and associated buildings were demolished in 1956 with a small brick cabin being provided for the crossing keeper. The brick-built up platform remained in place albeit without its platform shelter. On 6 July 1964 the section of line between Rookery and Rainford Junction was taken out of use, however the track and signals remained in place and this section of line was officially mothballed. Trains continued to run just to the south of the station to serve the sand washing plant. The plant remained rail-served until 1 January 1967 when the line was cut back to Pilkington Sidings. The track and signals that had remained in place between July 1964 and January 1967 were removed shortly after. 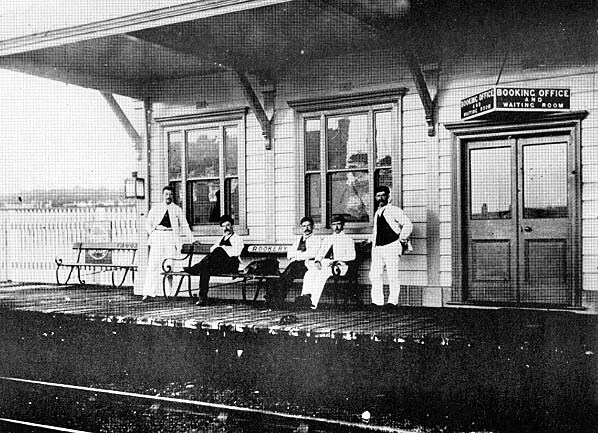 The booking office at Rookery station seen in the late 19th century. The main facilities were housed within this building which was located on the St Helens direction platform. The second Rookery station shown on a six-inch scale map from 1892. The second Rookery station shown on a 2:1,500 scale map from 1910. 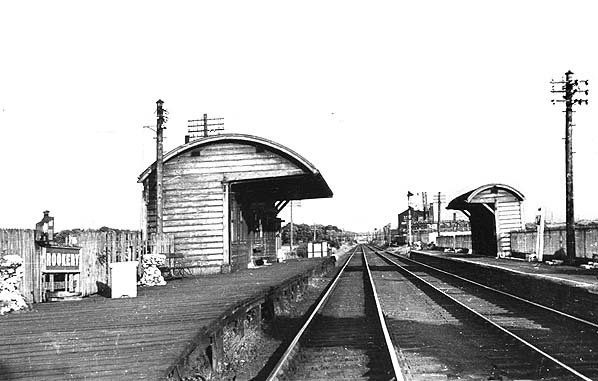 Looking south-east at Rookery station in 1949. Rookery station looking south-east in 1957. At this time regular passenger services along the line had ceased but it was still busy with freight trains. Looking north from the site of Rookery Station in February 2006. Looking south at the site of Rookery station in February 2006.